Space-loving kid in the house? 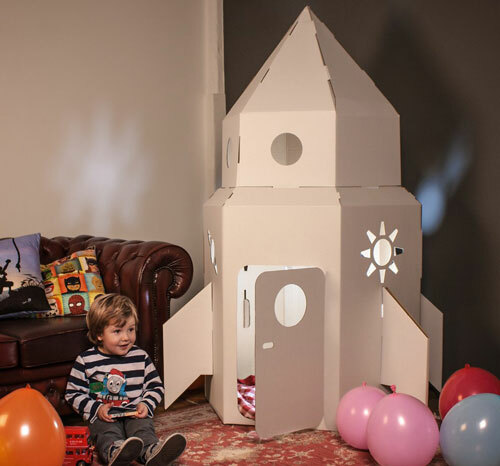 Probably an ideal candidate for this Cardboard Rocket at Firebox. As you can see from the image above, this is a mix of playhouse and den, but made of cardboard, able to pop up as and when you need some indoor entertainment on a boring wet and windy day. it can be painted or decorated and is supplied in a ‘sturdy’ cardboard outer for easy storage when not in use. Oh yes, this flat-packed rocket measures up at 90cm(W) x 162cm(H) x 90cm(D) when constructed, selling online for £39.99.